honigdesign: the most impractical dress ever? the most impractical dress ever? 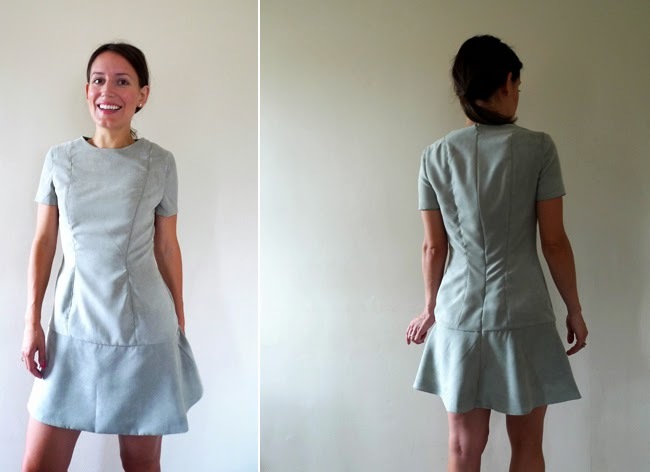 and I'm sharing my last summer dress of 2013! ...the one that I didn't wear all summer. 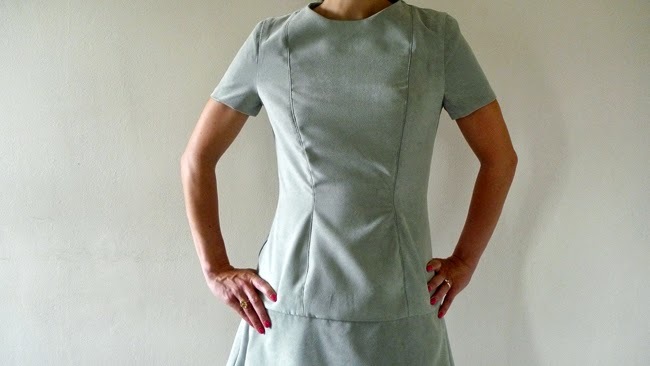 ...but a light coloured minidress in a heavy fabric is possibly the most impractical item I've ever sewed. Maybe next year I will wait for a rainy day and wear it will wellington boots. I'd love to know - do you have a most unwearable project? 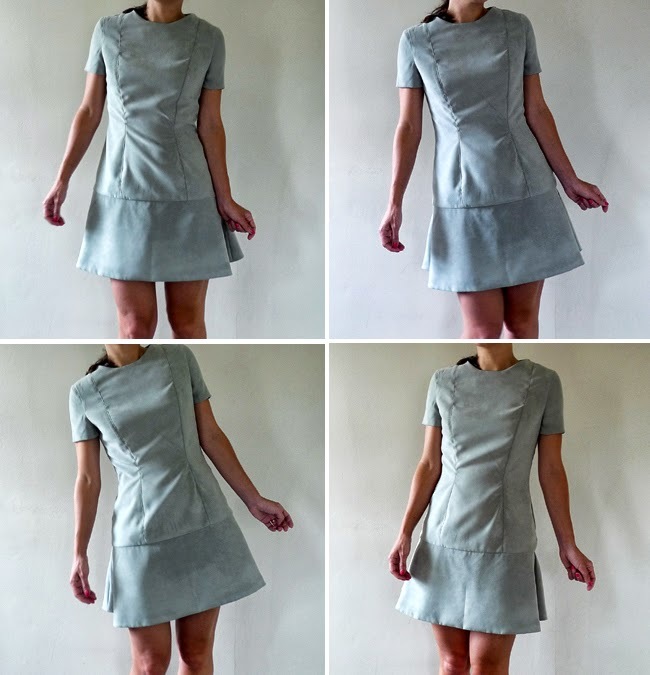 Have you made something that fits, but that you physically can't wear? I agree!! I wasn't even aware that there were rules with colours that don't go well with tights...I wear all my summer dresses layered with tights in the winter! Sounds perfect to me!! Thanks guys, Okay I will rethink! My Canadian background always makes me want to separate things into very distinct seasons! I agree with Dora - dark tights, boots and a big cardi and it will definitely work for winter. It would be a real shame if it didn't get worn. Okay, I feel more confident now - thanks! i think you could wear dark tights and a sweater with it for winter, it's a really cute shape! i overheat too easily, so all my fabrics must be able to breathe! I don't know what I was thinking really.....! Nice dress on you! I would make it again with different fabric. My failures are choosing stiff fabric for a dress and a light linen for an unlined skirt! It looks a great. Yu have to make one in a more suitable fabric! I have a dress that fits me but a bit wacky for me... Not sure I will actually wear it. Just written a post about planning your handmade wardrobe, I should have added a bit on wardrobe malfunctions! What a great dress design! I agree with the other comments -- tights and a sweater for winter, because it is too cute to not be worn! I'm always choosing inappropriate fabrics -- I just go with it and see how it turns out. If it is a fail, I chalk it up to experience and try to salvage it! I think you should try it with these very thin and almost see-through tights, the ones that get ripped apart so easily - but with thick coloured woolen socks and big chunky boots and with a simple but cozy cardigan as autumn wear. i think that would look really good too! Oooh I like both of those ideas - thin thin tights or chunky / wool socks - I love that, thanks! I had a peek at your blog and I'm soo envious that you get to live in Vienna! One of my favourite cities ever...looking forward to seeing your adventures! Oooh, I love this shape on you! Super cute! I'm too sweaty for faux suede, but I think you could pull this off for fall, maybe with a brown cardigan and tights?